Your password is the primary method of securing your account, so select something easy to remember but difficult to guess. 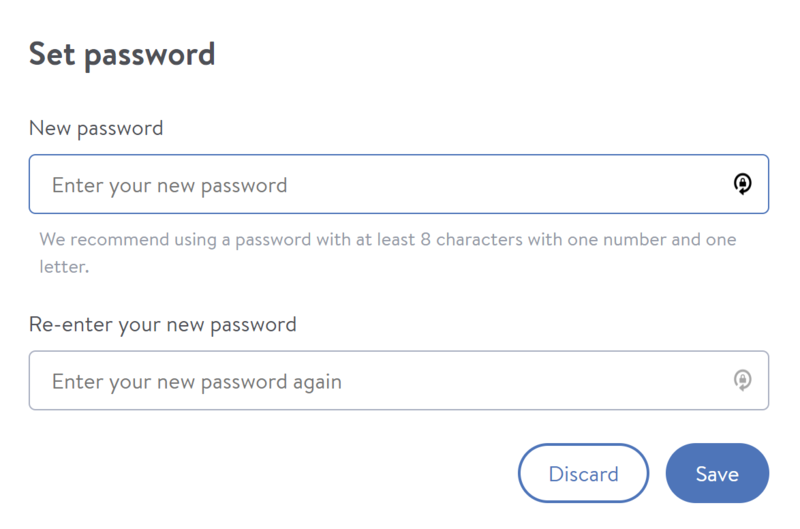 For our system, you will need a password that is at least 8 characters with one number and one letter . 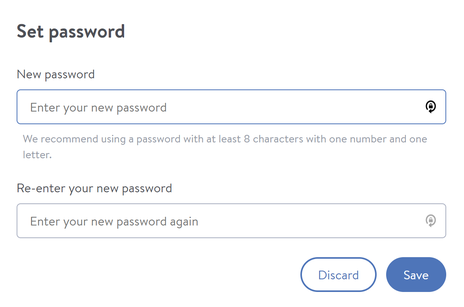 If you need help selecting a strong password, we have an excellent blog post that discusses password best practices (hint: don't make your password to be "password1234"). Most Jimdo users will select a password for their website when first signing up for our service; however, there are cases where you may be sent an initial password via an email instead. To change your password, go to your Dashboard, hover over your user account and click on Profile. You can then scroll down to the Password section. Once you click on Password you will be able to change your password. You will need to enter the current password and then your new password twice. It happens to the best of us. 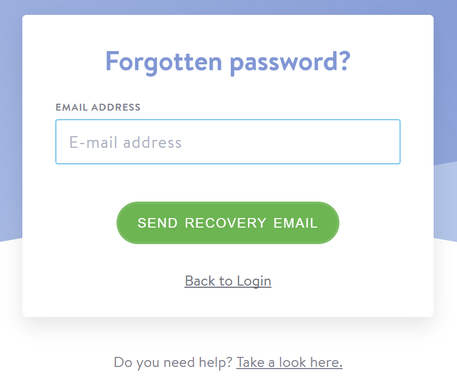 If you've lost or forgotten your password, you can easily reset it using our password recovery tool. Click on the login link for your website, then click on the "Forgot Password" link. This will provide you with a field to enter your email address. This address must be registered as your website's primary or alternate contact email. After clicking the ‘Reset’ button, an email containing a link to reset your password will be sent. We’ll need you to do this within 60 minutes as the reset link that you’ll receive is time activated for security reasons. If there isn’t an email in your inbox please take a peek in your Spam folder just incase. Make sure to change this password after logging in the first time. 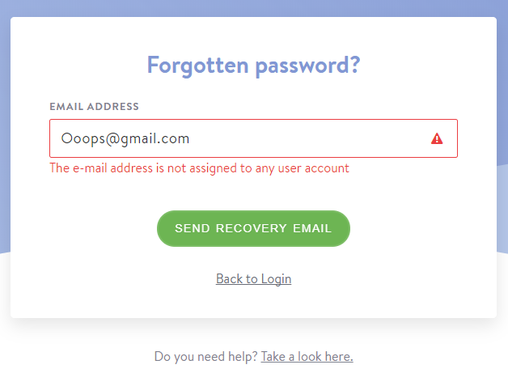 You'll receive the following error message when you try to log in to your Dashboard or Jimdo account using an incorrect email address and password? The error message can occur, for example, if you do not remember the upper and lowercase of your password or activate the Caps Lock key on your keyboard. Also check to see you are using the correct e-mail address to log in to your account. If this does not help, you can always reset your password (as described above).